Home » Best eBook Services & eBooks Download Sites! Are you looking for the ways to have a complete library at your fingertips? You must try eBooks! Whether you like novels, fiction, science fiction or anything else, we will help you find the best eBook service to satiate your literary appetite for knowledge. Below find some of the best, and easy to use sources for variety of ebooks, providing hundreds of thousands of ebook titles in an impressive array of genres, the premier eBook service providers and the most notable free ebook downloading sites. Check out these amazing eBook services offering an extensive collection of books you always wanted to read online or offline on your mobile phone, computer, and tablet. Google Books is one of the leading tools to search for the world’s most comprehensive index of full-text books and magazines; that Google has scanned, and converted to text using optical character recognition program, and stored online in its digital database. eBooks.com is another leading place to find fiction, non-fiction, and text-books online. One of the top best source for ebooks, with millions of unique ebooks from academic, popular and professional authors. Read online or download using ebook reader apps. Kobo.com is yet another great place for eBooks, award-winning eReaders and the free Rakuten Kobo App to search unlimited ebooks by title, author, series, or by ISBN. 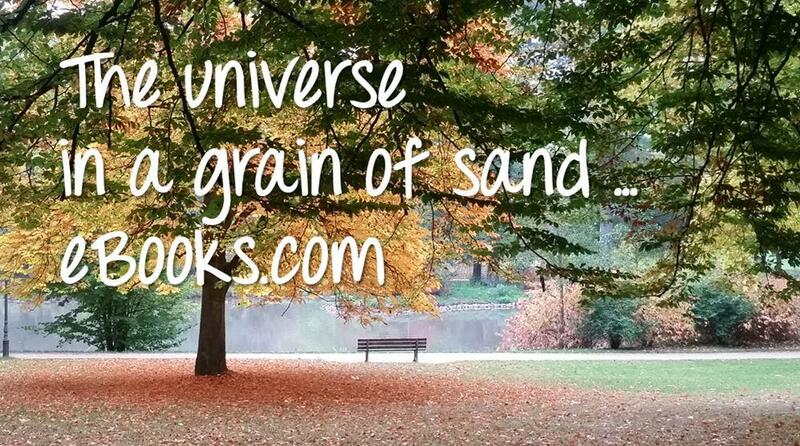 Join millions of booklovers across the globe and access your own portable reading world. BiggerBooks offers a wide variety of new textbooks, used textbooks and eTextbooks in order to meet every student’s needs across the world. This is one of the most popular source to find the lowest price on new, used books, textbooks and ebooks online. Barnes & Noble’s a popular online store for books, NOOK ebooks & magazines. They allow you to enjoy great FREE eBooks brought to you by Barnes & Noble! Download their free Nook app or use your Nook to read some of the best eBook titles today. Apple Books, is an eBook reading and store app by Apple, that’ll let you lose yourself in good stories right on your iPhone, iPad, or iPod Touch. You’ll find classics, bestsellers, up-and-coming authors, and even audio-books – ready to download and enjoy. Scribd is another digital library, ebook, and audio-book subscription site that includes over millions titles. It presently hosts 60 million documents on its publishing platform. You’ll get unlimited access to books, audiobooks, magazines, and more at low price. Amazon eBooks section offers an amazing selection of titles, some of the bestselling & free ebooks from Kindle: literature & fiction, religion & spirituality, business, romance, drama, history, and more with quick and easy purchase and download capabilities. Bookmate is a social e-book and audio-book subscription service, that makes reading and listening to books accessible to anyone across the world with a mobile reading app – filled with thousands of ebooks in English, Spanish, and 11 other languages. 24symbols is a leading source to access a world of online books. It runs a subscription based service to read digital books on the internet; where you can easily subscribe to read and enjoy more than 1 million ebooks on iOS, Android, Kindle Fire & Blackberry. Other Most Notable, Best Online Free eBook Resources for Everyone! Below find some of the most notable, and the best free eBook resources for everyone to search and find online literature for the student, educator, or enthusiast readers. GetFreeEbooks: A free ebooks site to download totally free legal ebooks, available in various popular formats. ProjectGutenberg: Choose 57,000+ free eBooks, free epub books, or free kindle books, download or read online. Open Library: An open, editable library catalog, building towards a web page for every book ever published. Internet Archive: A digital library offering free access to books, movies, music, & billions+ archived web pages. BookBoon: It provides 1000+ free eBooks, textbooks, and business books in PDF format without registration. EReader IQ: It provides the easier, faster, and a smarter way to search Kindle for authors, price drops, and more. Free-eBooks: Source for free eBook downloads, eBook resources & eBook authors to read & download anytime! PDF Books World: Offers free eBooks on fiction, non-fiction, academic, textbooks and children’s in PDF format. Feedbooks: Offers new releases and the best collection of free public domain books to read on any mobile device. Baen Free Library: Impressive eBooks with no DRM in every major format for the Kindle, iPad, Nook, and more. Free Computer Books: Library of programming, engineering, mathematics, technical books and lecture notes, etc. FreeTechBooks: Database of free online computer science & programming books, textbooks, and lecture notes, etc. BookYards: An online library to find a large selection of not only free ebooks, but also videos, blogs, links and more. eBookLobby: Category to find from business, art, computing, programming and education containing free ebooks. Planet Ebook: Find free eBooks in many formats to read on any device – desktop, iPhone, iPad, Android or tablet. Smashwords: This is one of the world’s largest distributor of indie ebooks, where you can find incredible ebooks. Digital Children’s Library: Find International digitised children’s books in 59 languages from various countries. Planet Publish: This is an interesting website to find some free PDF eBooks archived by Planet PDF software. Loyal Books: It features 7000+ free public domain audio-books & ebooks to download, read, and listen online. DailyLit: This is a site to read the books and stories that comes in serial instalments via e-mail and RSS feeds. Wikibooks: A Wikimedia community creating a free library of educational textbooks that anyone can easily edit. Bartleby: A place to get online access to thousands of textbook solutions written by the subject matter experts. BookRix: On this site you can download free eBooks, or read eBooks online directly in your web browser for free. OpenCulture: It has a collection of 800+ free eBooks for Kindle, iPad, iPhone, PC, smart phone and eReader. Europeana Collections: Artworks, artefacts, and books from European museums, galleries, libraries and archives. The Literature Network: Search online literature, books, biographies, poems, and quotes by famous authors. Authorama: Featuring free books from a variety of different authors, collected for you to read online or offline. Legamus! : This website offers a catalog of the best free audio books from public domain texts for download. Classic Reader: Online library of free books by authors such as Dickens, Austen, Shakespeare and many others. That was all for your great reading pleasure! Explore those amazing sites out there on the Internet to search and find the eBooks that you always wanted to read online or offline on your Kindle, iPad, iPhone, computer, or smart phone.